No one will mistake Devil May Cry 4 for pointed political satire. It’s a hack-and-slash action/adventure game that features an abundance of bloodletting across gothic landscapes. Yet, beneath the adolescent bombast, its creators managed to sneak in a few shots at some real-world power elites. The religious sect behind the creation of an all-seeing sentinel called The Savior is led by a Pope-like figure named Sanctus, who seems to have picked up his flowing robes and pointy hat at the Vatican gift shop. His plan: Open the gates of Hell in order to flood the streets of Fortuna with demons, and use The Savior to defend the masses, earning their eternal gratitude and—more importantly—their obedience. It’s the cartoon version of the way institutions wield fear as a cudgel to keep the populace in line. The heroes of Devil May Cry 4, a pair of sneering towheads named Nero and Dante, embody the flipside of the argument. Each is impure, borne of demonic lineage (it’s implied—but never explicitly stated—that they share a bloodline). Neither is impressed by the corrupt autocracy. Their fighting styles couldn’t be more different. 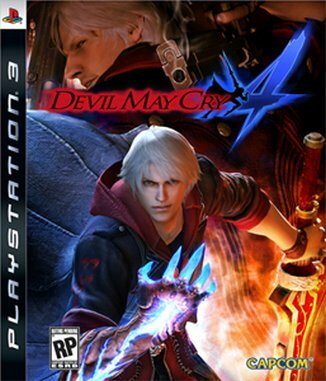 Nero is a brawler—his demonically possessed arm lending him brute strength—and he also makes the gameplay a bit easier (albeit less elegant) than DMC 4’s predecessors. Dante is more of a trickster, demanding from players precise timing and defensive maneuvers. His is the more skillful, satisfying way to play. But both characters hail from the same school of rhetoric, reduced to its essence when Nero barks at Sanctus: “Go blow me!” Like I said: adolescent bombast. It’s probably best that the characters in Devil May Cry 4 let their actions do most of the talking. At least the game’s heart is in the right place.